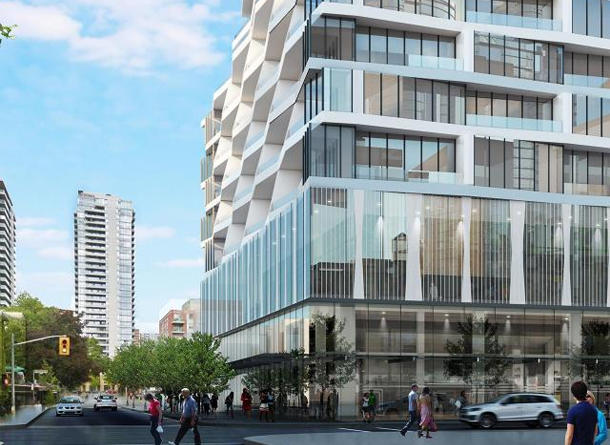 More condos are coming to Toronto’s Church Street Corridor: Here’s an interesting piece from UrbanToronto on a proposal to build a 45 storey condo on the south east corner of Church and Wood, replacing a parking lot. While 45 storeys seems pretty high – it’s just one of a series of towers and one of three right at that intersection. I wrote about those towers earlier this fall. Centrecourt Development held a planning meeting on December 8 where residents were asked for their input. Unsurprisingly there were a few NIMBYers, but also a few people who wanted to find a compromise and a few who liked the project as is. One of the main complaints is the shadow the building would cast on Church Street Public School. The same concerns are voiced for projects in and around Nathan Phillips’ Square, but I’m not so sure a public school deserves the same consideration as City Hall. Here’s the piece from UrbanToronto. What are your thoughts?